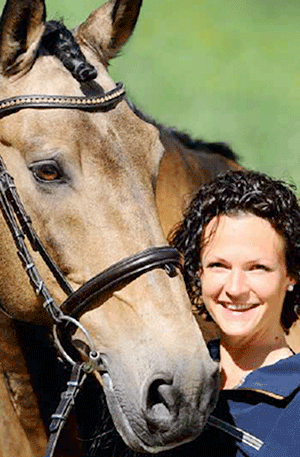 Kathrin Roida runs a horse training facility in Fürstenfeldbruck, Germany. She works with horses of all breeds, using only positive, conscientious training methods committed to the health and longevity of the horse. She has trained with a number of riding and training luminaries, including Anja Beran, Manuel Jorge de Oliveira, Dr. Gerd Heuschmann, Jean-Claude Dysli, Marc de Froissard de Broissia, and Johann Riegler. Roida is known for her popular lessons and clinics on in-hand work and gymnastics for the horse.